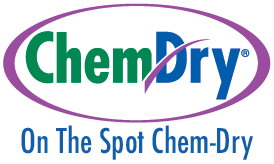 On the Spot Chem-Dry brings very professional expertise that equals excellent results. His is personable and listens to my carpet care concerns. I would recommend them to anyone who wants a job well done! Perfect results. And on time. Dried very quickly. These guys are awesome, I used them twice and I'll use them again. Profesional, punctual,Thank you for great service. Salam and his crew were professional and on time! They did a great job cleaning my carpets. There were some bad stains which these guys cleaned on the spot. Overall a great service experience. These guys are terrific!! Awesome job throughout the house. Have been using there service once a year for my annual cleaning. They always show up on time and get the job done quickly and professionally. Wouldn't think of using anyone else! !